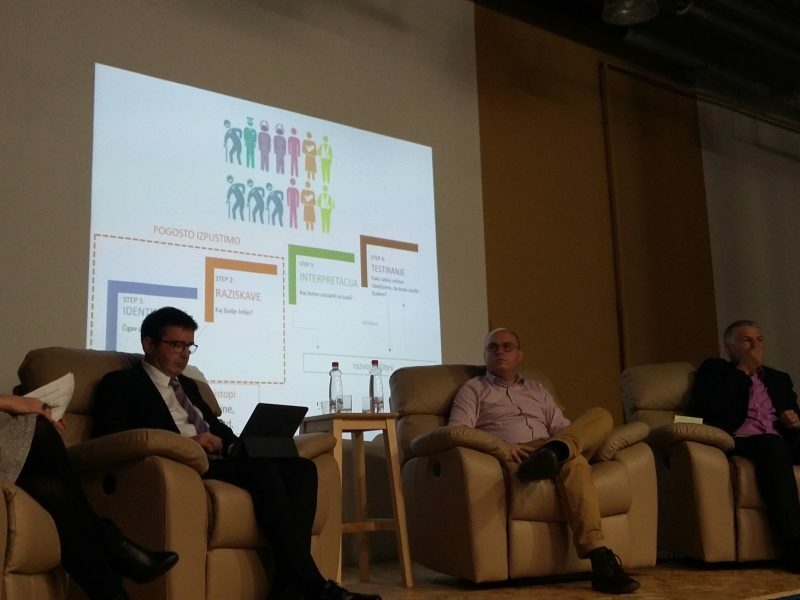 “Empathy must once again become the foundation of human relations, including those in the public services,” said Dan Podjed, PEOPLE team member from ZRC SAZU, at the second meeting of the innovation community. The event was organised on 8 December 2017 by the Slovenian Ministry of Public Administration. 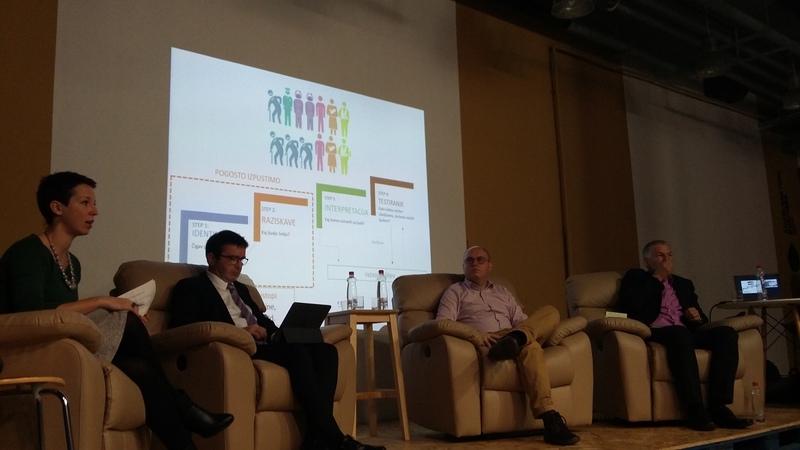 Boris Koprivnikar, Minister of Public Administration and Deputy Prime Minister of the Government of Slovenia, and Lojze Bertoncelj, co-founder of CorpoHub, also participated in the panel discussion. In the lively debate, Minister Koprivnikar argued in favour of a transition to a more people-centred mindset and approaches, with which the Slovenian public administration will improve its services. Representative of CorpoHub described how to cross the boundary between engineering and anthropology in the development of people-friendly services and innovative solutions. The well-attended event was moderated by Nina Langerholc Čebokli, Head of the Cabinet at the Ministry of Public Administration.